WHEN NEARLY BULLETPROOF DRAGONS RULE THE SKIES . . . Although restless sixteen year old Joe tolerates the daily routine under the protective dome-shield with his quirky family of adopted war vets, he relishes bringing out the big guns to drive off the flesh-eating dragons that had been engineered to fight in the Dragon Wars. One day, when a mysterious young woman arrives at their compound, everything changes. After being betrayed by a trusted friend, the two set off for a subterranean city where they discover far more than political infighting between the infamous City Lord and the secretive religious sect that worships the bloodthirsty beasts. To survive in this realm of treachery and advanced technology, they must enlist new friends and forge perilous alliances, or risk finding themselves in the merciless claws of the Metallic Dragons. A breathtaking combination of futuristic dragons in a dystopian world, Metallic Dragons will resonate with the reader long after the final page is turned. Fifteen-year-old Alexandra Spencer’s life wasn’t supposed to turn out this way. She wasn’t supposed to go on trial for a crime she did not commit. She wasn’t supposed to be found guilty. And she wasn’t supposed to be sent to Elder Grey Detention Centre, a place of horrors many don’t survive. As Alex struggles to cope with her new life, an act of friendship ends in tragedy. When someone she thought was an enemy pulls her from her despair, Alex discovers that old friends cannot be trusted, prejudice is another word for fear, and trust, not blood ties, make a family. When thirteen-year-old Emily Jane MacFarlane is woken by her mother’s screams, she is certain someone has discovered her family’s secret. Her first thought is to save her Ma. When that becomes impossible, she promises to keep her little sister safe. But her attempts only expose her family’s secret to her entire village and Emily Jane is torn away from her sister. She is taken to Area D – the City prison where she will be tortured again and again, and where she is set to spend the rest of her life. But Emily Jane can’t forget her baby sister, and although no one has ever escaped from Area D, she is determined to get out of there and fulfill the promises she made – even if it takes her the rest of her life. Fifteen-year-old Alexandra Spencer returns to the City to release the Drifters that are held there. Then Rich is captured and her hope turn into desperation. If she’s going to rescue any of them, she must get past her ex-fiance, her ex-father, hostile guards and a glimpse into a bleak future. What price is she going to have to pay to save herself and her friends? Humans thought they were saved. 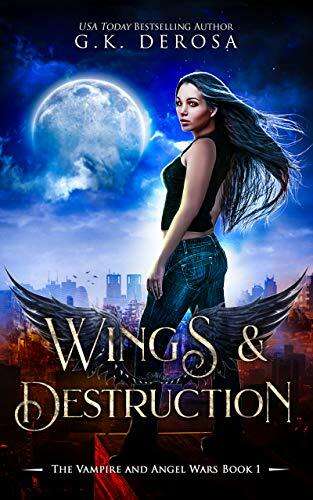 Seventeen-year-old Liv thinks the immortals have stolen everything from her until a warrior nephilim drops from the sky and snatches away the only person she has left. Now Liv must risk everything to rescue Asher from the dreaded angel tower. Even if that means trusting Declan, a gorgeous stranger who saves her from a pair of ravenous vampires. As much as Liv hates to admit it, she needs him to survive the perilous trek south. Declan’s cunning, strong, and charming, but he’s definitely keeping secrets. Those dark secrets, once revealed, will force Liv to question whether Declan will be the key to rescuing Asher or her ultimate downfall. Sawyer Russo has sworn to protect humanity, and as a Watcher she’s done just that. But the Bots and Carbons that took her city are evolving, and they start picking the Watchers off one by one. One last rescue mission will change everything. When someone betrays them, the line between friend and foe is no longer easily drawn. Sawyer made a vow, and she will fulfill it, even if it means ending the person who deceived them, no matter who it might be. Beautiful and brilliant, eighteen-year-old Genesis Weatherby lives a charmed life as the clone of a long-dead silent film star. She is loved by her close-knit family as well as her two best friends, and being a clone isn’t so bad when everyone in the world is one too. Thanks to an organization known as GOD, there have been no Original births in one hundred and thirty years. In a successful attempt to eradicate cancer, GOD has taken control of human procreation, and only the human copies that are proven to be free of the once devastating disease are allowed to thrive. Genny never questions anything about her world, until she meets handsome and mysterious Nat Wilkinson. Now, she is forced to make choices that can alter the course of her life, as well as the lives of everyone on the planet. The Genetic Operations Division (GOD) has just named Genny and Nat as their primary targets in the organization’s war against Original births. More importantly, they’ve blamed the couple for the alarming number of cancer cases in recent years. But, will Nat and their friends go along with her idea? Will Genny be able to live long enough to carry out her dangerous mission? Where can she run when everyone in the world thinks she’s their enemy? In the end, will she really know who’s on her side? With the fate of the entire planet resting on her shoulders, Genny has to make some life-altering decisions that might lead to the destruction of her entire family. Or, is it already too late for everyone? The floating city Utopia, is all sixteen-year-old Aurora has ever known. Along with three other cities, it is home to the only survivors of the cataclysmic events that ended life on Earth sixteen years ago. After witnessing her mother’s gruesome murder, Aurora finds herself on the run from the very people who are meant to protect her. With the help of her best friend, Fletcher, Aurora must find the truth behind her mother’s execution and why she is being hunted. Someone wants the facts to remain hidden, but Aurora won’t stop until each hurtful truth is revealed. When her search takes an unexpected turn, nothing can prepare her for the answers that prove her entire existence has been built on a lie. The floating city Utopia, is all sixteen-year-old Aurora has ever known. After witnessing her mother’s murder, Aurora finds herself on the run from the very people who are meant to protect her. Someone wants the facts to remain hidden, and nothing can prepare Aurora for the answers that prove her entire existence has been built on a lie. Confronted by someone from her past who holds all the answers, Aurora and her band of rebels embark on a mission to the floating city of Eden. They must find each piece of the puzzle, before the truth can be exposed to those still living in the floating cities. Aurora knows the truth about who she is, but her father’s final secret could change everything. Seth is her twin brother – and it’s the one secret she’s not sure she wanted to uncover. Just as she has barely processed the revelation, she’s awoken at gunpoint by the very boy who has thrown her entire world off kilter. He’s unpredictable and dangerous, and her group of rebels can’t let him go now. Their priority is seeking the final piece of the pendant, hoping that the one who holds it can tell them what comes next. Aurora doesn’t believe she can see her brother as anything other than cruel and malicious, but she soon learns there’s more to Seth than meets the eye. When confronted with someone from his past, Aurora knows her fate rests in his hands. When allegiances are tested, can Aurora trust that blood is thicker than water? These words haunt Aurora as she journeys towards the Elysium compound with her friends. Rescuing a group of captives gives them a spark of hope, and they discover information that could alter their chances of success. All they need to do is find the rebel group hiding in the fallen city of Elysium – and hope they’re willing to help them reveal the truth. With their help, the odds of finishing what they started might just tip in their favor. But one mistake and they could end up dead, imprisoned, or worse… become slaves. Three hundred years ago, something arose and pushed humanity to the brink of extinction. Now, a small remnant – the ancestors of the few survivors who were able to escape the massacre below – lives above the clouds, on the top of a mountain. But there’s been a change. Their water supply is being poisoned. Someone, or something down below is trying to kill them. Now an expedition, including seventeen year-old girl Icelyn Brathius, must descend and face the monsters that wiped out civilization centuries ago. 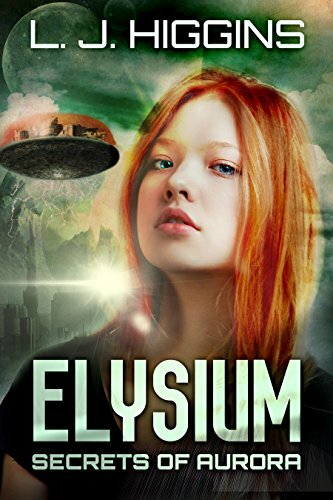 As Icelyn faces dangers in a world humans are not meant to survive, she learns that not everything is as it seems, and uncovers an ancient revelation, then faces a choice that may change the fate of everyone above and below the clouds. Will Icelyn be strong enough to both survive and bear the terrible secret? Join Icelyn Brathius as she leaves everything she has ever known to journey to the place no one was ever supposed to go. Who do you trust when your world unravels and everything you believed is a lie? For the past fifteen years, The Office of Civilian Safety and Defense has guarded the public against the rampant threat of terrorism. Teenagers Tommy and Careen have never known life without Civilian Restrictions. For them, there’s no social media. No one is allowed to gather in public places or attend concerts or sporting events. Only a small, select group of adults have driving privileges, but it’s a small price to pay for safety. Now a new, more deadly, terrorist threat looms: airborne chemical weapons that can be activated without warning. The OCSD is ready with an antidote to counteract the effects of the toxins. Three drops a day is all it takes. It’s a small price to pay for health. The day the disaster sirens signal the dreaded attack, Tommy shares his last dose with Careen, even though doing so might hasten his death. It’s a small price to pay for a friend.Follow Tommy and Careen as they uncover a web of lies and deceit reaching to the highest levels of the United States government and join an underground resistance group that’s determined to expose the truth. Knowledge comes with a price. Tommy and Careen no longer believe the Office of Civilian Safety and Defense’s miracle antidote can protect them from a terrorist’s chemical weapons. After accidentally discovering the antidote’s real purpose,they’ve join the fight to undermine the OCSD’s bid for total control of the population. Being part of the Resistance brings with it a whole new set of challenges. Not everyone working for change proves trustworthy, and plans to spark a revolution go awry with consequences far beyond anything they bargained for. Tommy and Careen’s differing viewpoints threaten to drive a wedge between them, and their budding relationship is tested as their destinies move toward an inevitable confrontation with the forces that terrorize the nation. Where does love fit in when you’re trying to start a revolution? Nationwide food shortages have sparked civil unrest, and the Office of Civilian Safety and Defense’s hold on the people is slipping. The Resistance’s efforts to hasten the OCSD’s demise have resulted in disaster, with Tommy Bailey and Careen Catecher taking the blame for the ill-fated mission in Tommy’s home quadrant, OP-439. Both teens struggle to survive the circumstances that force them into the national spotlight—and this time, they’re on opposite sides. On the run and exiled from his fellow Resistance members in remote BG-098, Tommy makes his way to a Resistance safe house in the capital. The OCSD is preparing to monitor all under-eighteens with the Cerberean Link, a device that protects them against hunger and sickness and can even locate them if they’re lost. Tommy’s now living in close quarters with Atari, an operative who has been assigned to sabotage the Link. But does Atari plan to use it for his own purposes? Through it all, Tommy refuses to believe Careen’s loyalties have shifted away from the Resistance, and he’s willing to assume any risk to reconnect with her. Will they be able to trust each other when it matters most? Dawn of Rebellion is the first in a trilogy about two sisters, Dawn and Gabby, trying to find their way and their family in a desperate future. In this first book, they encounter the forces of British occupation and the seeds of rebellion in a land formerly known as America. Trust…Family…Love…Courage…Betrayal When faced with the possibility of losing her sister, Dawn must find the strength to overcome anything that is thrown in her way. With the help of some unlikely friends, she travels to a wild land and faces enormous obstacles at every turn. From barbaric people to the wild animals that roam the land, this adventure is much more than Dawn bargained for…but it’s for her sister and she won’t let her down. Nothing is as it seems in the colonies. Sisters Gabby and Dawn have escaped British Floridaland and now find themselves under the “protection” of the Republic of Texas. But their supposed freedom and safety is a sham- trading one prison for another as they discover the secrets of those who supposedly rescued them. Sam is dead. But the fates of Drew, Jeremy, and Lee are unknown. Together, the sisters uncover the many truths and lies of this new world around them. Sides must be chosen. Bonds must be broken. Alliances forged… And the war begins. Eve of Tomorrow brings to a conclusion the story of Gabby and Dawn, two English sisters thrust into the forefront of rebellion in the new world. Set in a distant future laid waste by change and conflict, Gabby and Dawn discover their parents among the Americans and pledge to fight alongside their countrymen seeking safety and freedom. The Republic of Texas has been defeated, but its doomsday weapon has fallen into the wrong hands. At first, warriors by circumstance, but now warriors by choice, Gabby and Dawn have a new mission: to destroy the weapon before it can destroy their future. No matter what I do, no matter what steps I take to avoid it, I’m always playing right into somebody’s hand. Two years have passed since her willing return to the DSD, and Wynter Reeves is no longer the timid girl who only wanted to blend in. Strong, confidant, and in control of her once debilitating powers, the world trembles at her feet while news of what she’s capable of spreads like fire among the State’s enemies. As the death toll rises and Dr. Richter further warps her into a weapon of war, Wynter is forced to embrace the daunting reality of what she’s become. With the remnants of her humanity hanging on by a shoestring, she must choose between the one sacrifice that could lead to her salvation or the dark path of destruction from which there can be no return. Into Shadow is the first book in the young adult dystopian Shadow and Light series. Fast-paced with great world-building and a strong female protagonist, T.D. Shields has created a book all lovers of young adults dystopian novels will enjoy. Poppy escaped the assassins who killed her father and found friendship, love, and a new family in the ruins of Denver, a harsh wilderness home to carnivorous plants, mutant animals, and dangerous people. But simply building a new life for herself is not enough. With the help of her friends and allies, Poppy must return to Goodland and confront the man who shattered her perfect life. She will do whatever it takes to stop him before he can destroy the peace and the people she has vowed to protect.